Despite being decked out with colors and feathers, this man is manly. He is confident. He is sure. He leads. He is in charge. I have had many exchanges with my friends who have masculine husbands — I mean the kind with full-on testosterone. Though it has its setbacks, the benefits far outweigh the negatives. They fight. They win. They accept a challenge. They protect. They provide. What’s not to love? 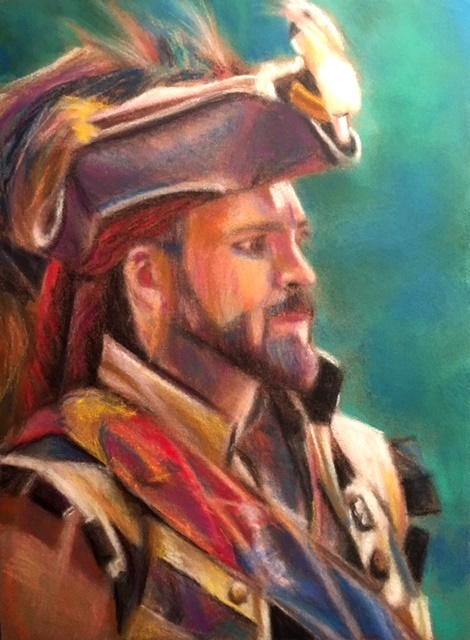 So, when I see a man who can pull off feathers, bright colors, or even a kilt, I am intrigued enough to paint.